The British Ornithologists' Union Records Committee (BOURC) has announced that it has accepted Acadian Flycatcher and Chestnut Bunting onto Cateogry A of its British list, taking the number of species recorded to 605. 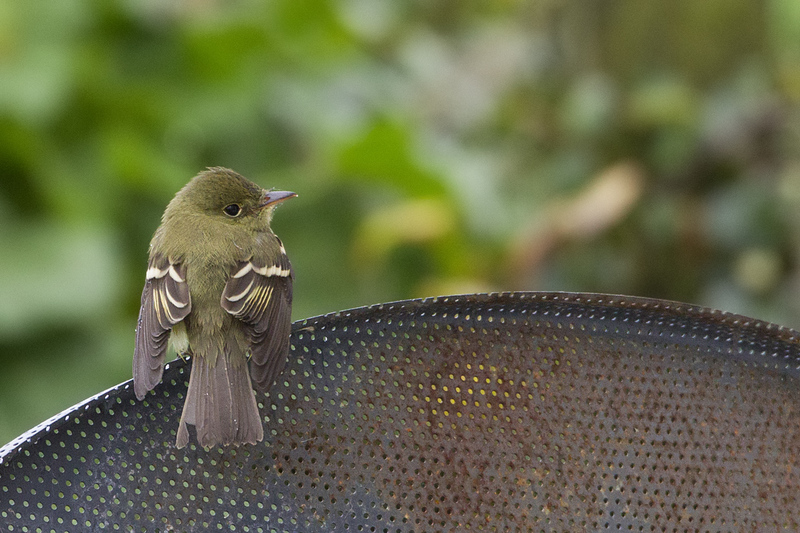 Breeding in eastern North America and wintering in southern Central America and northern South America, Acadian Flycatcher was recorded for the first time in Britain at Dungeness, Kent, on 22 September 2015. The bird was well-watched by several hundred observers throughout the day and was identified with a strong degree of confidence at the time, thanks to the the range of excellent photographs taken. Identification was subsequently confirmed by DNA analysis from faecal matter. There were no issues surrounding provenance, as it is not known in captivity. This represents the second record for the Western Palearctic, following a bird found dead in Iceland on 4 November 1967. Unlike Acadian Flycatcher, Chestnut Bunting has had a chequered history along its route to Category A. All previous records have been placed within Category E as the bird was a common import for the captive bird trade, and numerous escapes occurred. Following the EU bans on bird importation from the Far East in 2005 and 2007, the numbers found in Western Europe dropped. 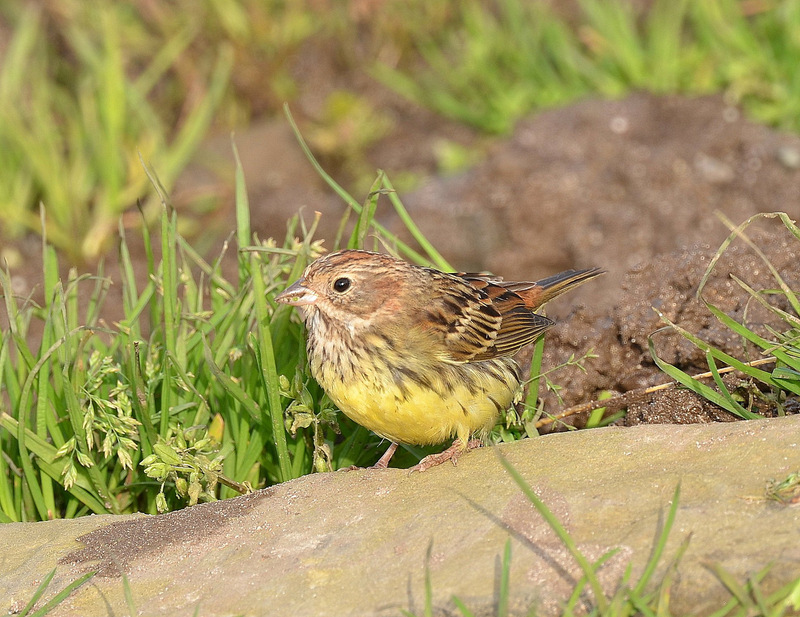 The 2015 individual, a first-winter on Papa Westray, Orkney, from 19-29 October 2015, exhibited credentials to indicate that it had arrived naturally and resembles other October records of first-winters observed in northern and western Europe in recent years. The species breeds in Siberian, northern Mongolia and north-eastern China and winters in southern China, south-east Asia and north-east India. Another significant decision was the 'upgrade' of the adult Chinese Pond Heron seen at Eccles-on-Sea, Norfolk, on 31 October 2004 and later at East Dean, Hants, on 13 November 2004 to Category A. Given that it pre-dates the 2014 Kent bird, which was accepted and added to Category A in the summer, the 2004 occurrence therefore becomes the first British record of the species. Also of note was the formal addition of Eastern Subalpine Warbler (Sylvia cantillans cantillans) to the British list on the basis of a second-calendar-year male on Fair Isle, Shetland, on 8 May 2014. The bird was photographed, trapped and DNA analysis confirmed the identification. The Subalpine Warbler complex has undergone taxonomic revision, resulting in the need for the reassessment of the new species and subspecies on the British list; currently, the BOURC recognises Eastern at subspecies level only. There is more work to be done here, as the Rarities Committee has now accepted 63 records of this taxon and it may yet be split at species level. In other news the committee has decided to revoke the rule in the BOURC Standing Orders whereby records placed in Category D remain in this Category for 15 years and undergo three rounds of review voting, before being placed in either Category A or Category E. This decision was taken to reflect remaining uncertainty about the origin of some species 'relegated' to Category E from Category D. Following this decision two species have returned to Category D with immediate effect. These are Marbled Duck and Mugimaki Flycatcher.